Our Book – We Love Otters! On this page you can download our beautiful book, with exceptional photos of all 13 otter species and testimonials that will inspire and motivate more and more people to love and help save these fascinating animals. Click here to view and download our book! 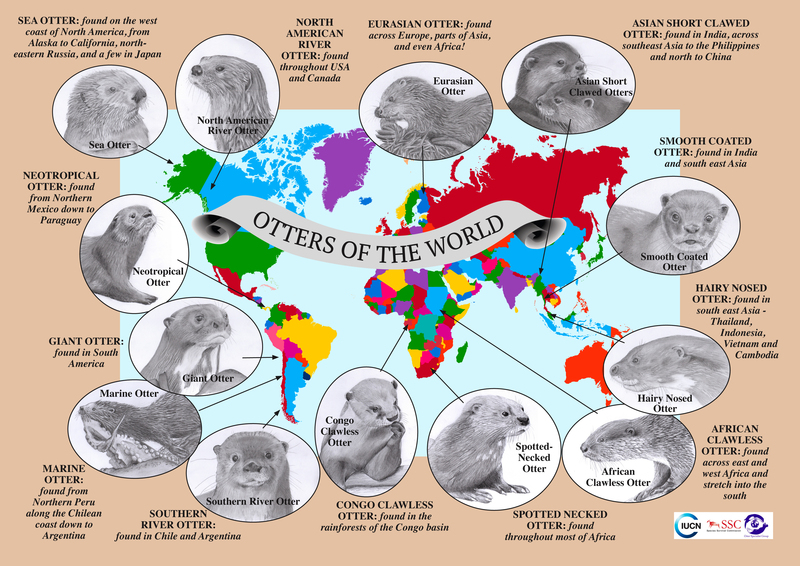 And here is our most beautiful Otters of the World map, ideal for awareness and to see what species of otters are where!